Written by Jordyn Spencer on November 28, 2018 . Posted in Blog. Whether you’re a small firm or a large firm, lawyers are busy people and they are always on the move meeting with clients and handling cases. That being said, using a virtual office space can make running your practice both more convenient and cost effective. The convenience of using a virtual office space allows a lawyer to meet up with their clients to discuss the case at hand and also prepare for trial. Trial preparation can be quite extensive and can take weeks. Therefore, utilizing as-needed office space is beneficial to meeting with clients and having instant administrative support. What are the Benefits to Having a Virtual Office? The benefits of using office space include, but are not limited to, administrative support, receptionist services, and conference room availability. Even better, you have the freedom to either pay for office space on a day-to-day basis or month-to-month basis. There are major cost savings when using a virtual office space. Most attorneys don’t need to be in an office every day, so it’s both more cost efficient and smarter to only pay for only what you use. 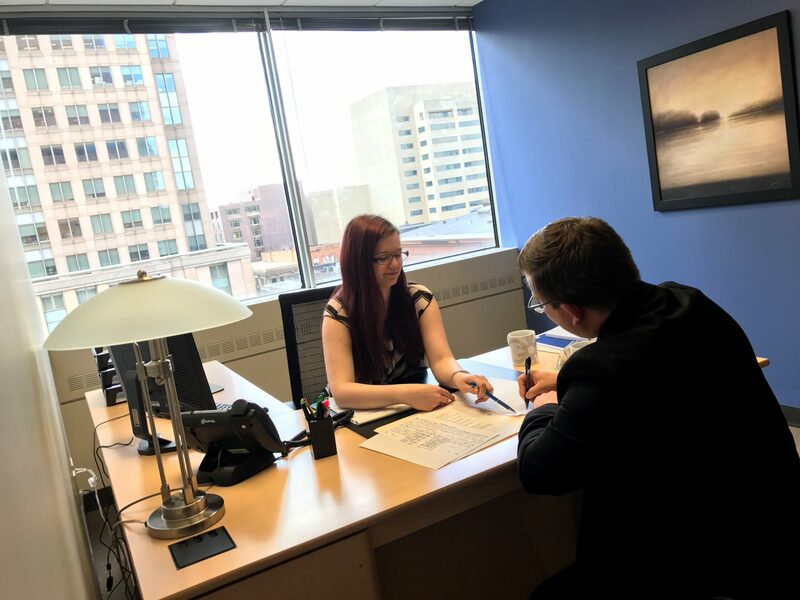 You can come in to use the office space when you need to prepare for a deposition and the entire team can be in one professional setting. There are audio and video conferencing opportunities that allow for participation from everyone in the firm. Through our administrative staff, we can assist with setting up the equipment needed for these services. We can also assist by making copies of any important documents or simply providing catering and beverage service. When your clients come to meet with you, they will be welcomed by our smiling staff at the front desk. You will save time and money only meeting in an office when you need it, and paying for only the time that you use it. Your clients will be greeted and assisted creating a better client experience. An onsite staff means you will have instant support available, without the cost of a full-time assistant.